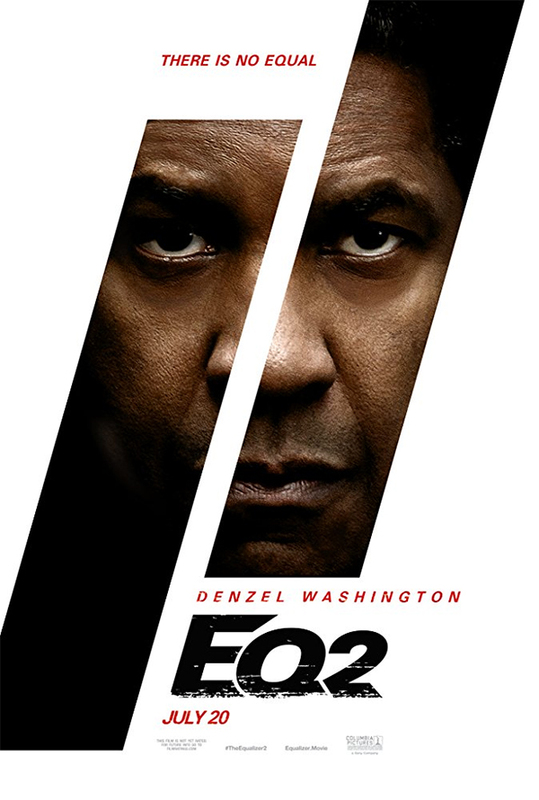 Director Antoine Fuqua and star Denzel Washington reunite once again for “The Equalizer 2”, a sequel to the 2014 hit that was a remake of a popular 80’s television series. The first film was a fun and violent action-thriller about a man with a mysterious past who went up against Russian gangsters to protect a young girl. In the follow-up, we now know a bit more about Robert McCall (Washington) who is out to take vengeance on those responsible for his friend’s murder. Unfortunately, the one key element that made the first film work so well is almost entirely missing in the sequel. The thrills are almost entirely non-existent, leaving a boring, predictable, paint-by-numbers actioneer that is not worthy of Washington’s talents. Set a few years after the events in the first film, Robert McCall is now living in Boston, helping-out those who are in need while keeping a low profile. The film opens on a train traveling through Turkey, where a disguised McCall takes down some bad guys and returns a young girl to her mother after being abducted by her father. This is easily one of the film’s best sequences. The other is when McCall takes out a hotel room full of rich guys who drugged and raped a young woman. I think “The Equalizer 2” would have worked better as a series of encounters with local bad guys, rather than going into predictable thriller territory. I would have enjoyed more if things went in a more “Death Wish” direction. Especially since the remake of that film was total garbage. “The Equalizer 2” does have a few good action sequences and a couple of decent laughs as well, but for the most part feels like a stale cash grab for the star and director. The final act which takes place in a vicious storm is almost laughable and anyone who has seen films like this before can point out who the bad guy is from the very moment we meet them. I could forgive “The Equalizer 2” for many of its’ faults if it wasn’t so dull. Advance Screening of THE EQUALIZER 2 in Miami!